Show us your small tube amps! 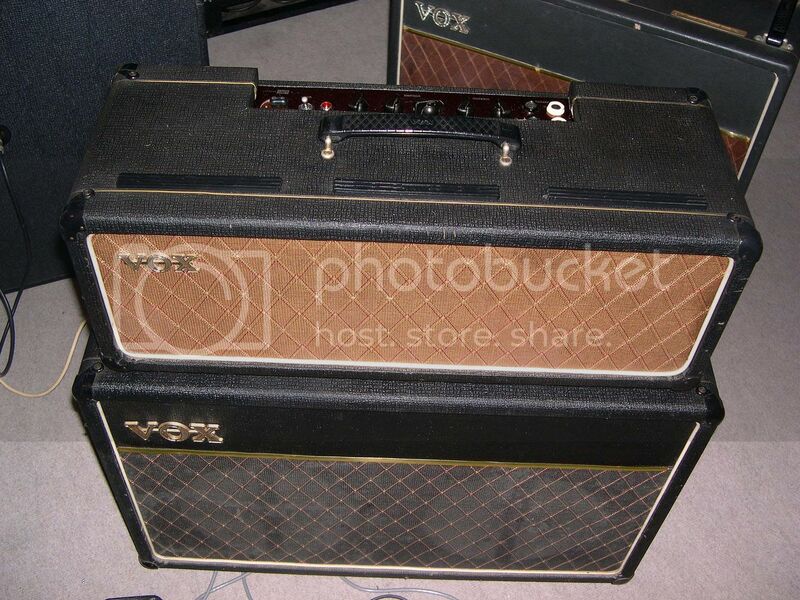 Discussion in 'Amps & Cabs' started by oldrockfan, Mar 23, 2012. Seeing all this talk about big 100 watt monster tube amps has got me thinking, we maybe need a thread dedicated to the little guys ... or in this case little amps! 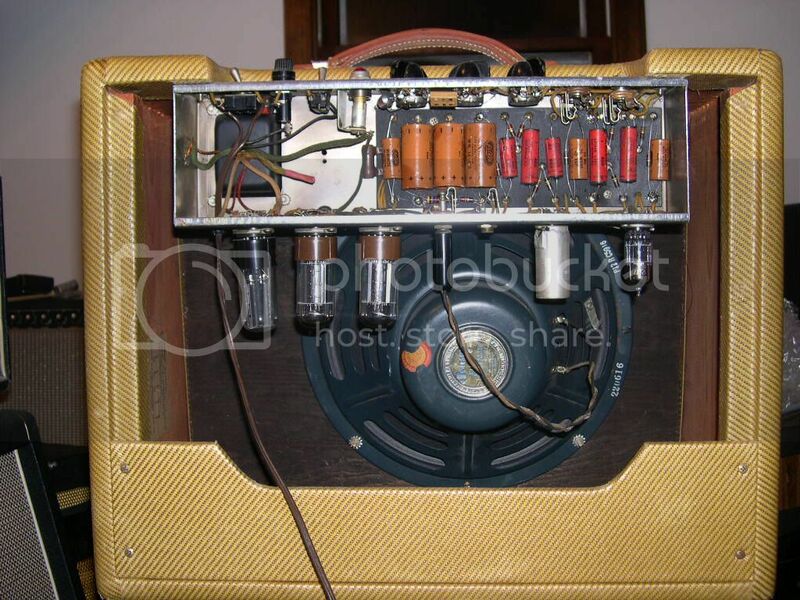 So lets hear from you, I know I am not the only one who likes little tube amps. Tell us what you have and how it sounds plus if you have pics, post em up! 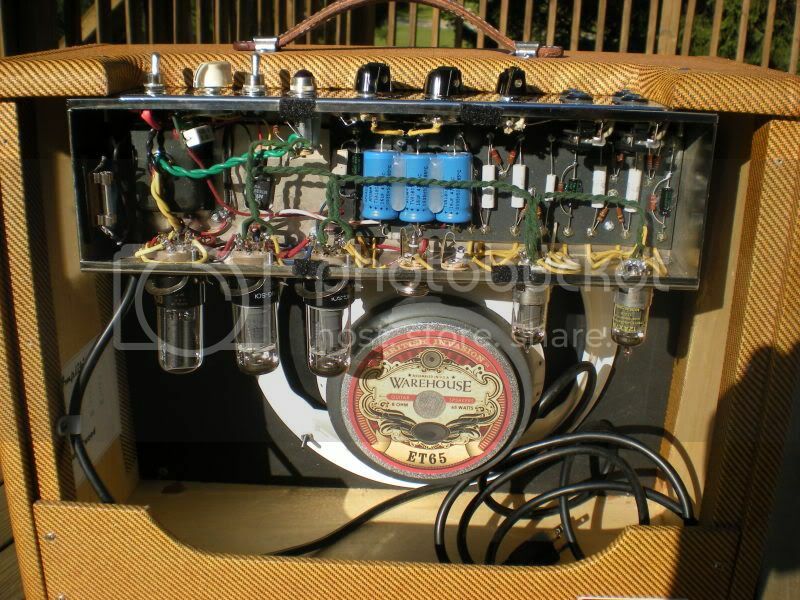 I'll start things off by saying I have turned into a little tube amp junkie. Here are a couple of my mine along with my favorite strat. The eggnator was fun to mess around with since you could blend two different power tubes for alot of different sounds. The problem was I never could get it dialed in for the tones I was after so sold it off. The badcat 5 watter is a current amp and sounds really good for blues stuff. It is my only high end small tube amp. My current favorite small tube amp would be my little 20watt subway rocket reverb. It nails classic rock but also can do a great job on blues. It is light and easy to carry but can easily hold its own jamming with a group. 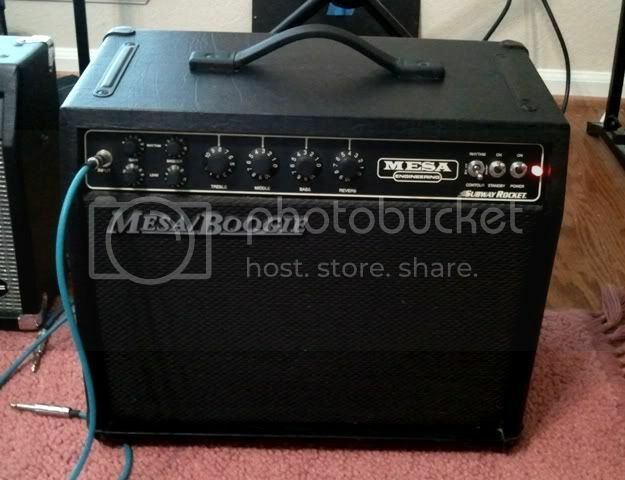 Honestly it is all I need right now but whats the fun of one amp! defaultoprime, Dave Johnson and 58pit like this. and lets just say that the 5w jobby is loud enough to get me in trouble with Mrs. iblive. I generally don't even turn the Traynor on unless I'm home alone. Dave Johnson, 58pit and Alex_SG like this. Okay, Oldrockfan, I just moved into the EverythingSG neighborhood a few days ago and already you guys have me hooked! 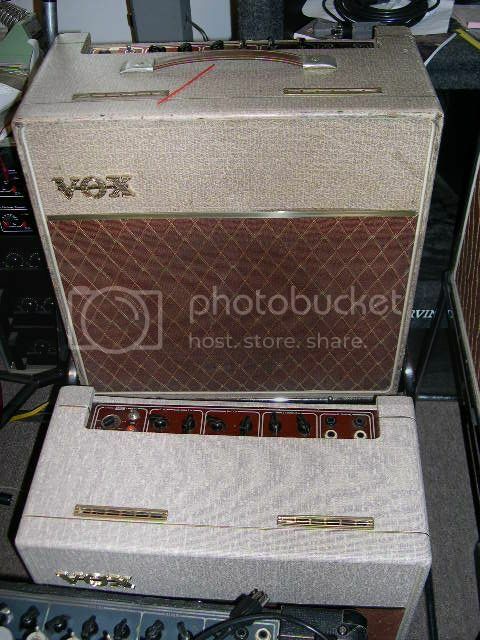 Then, there is my Vox AC4TV, that I've done a lot of mods to...and I ain't done, yet! The little brown Princeton sound great! And the tweed Deluxe really does it too! dcwave, Dave Johnson, 58pit and 1 other person like this. 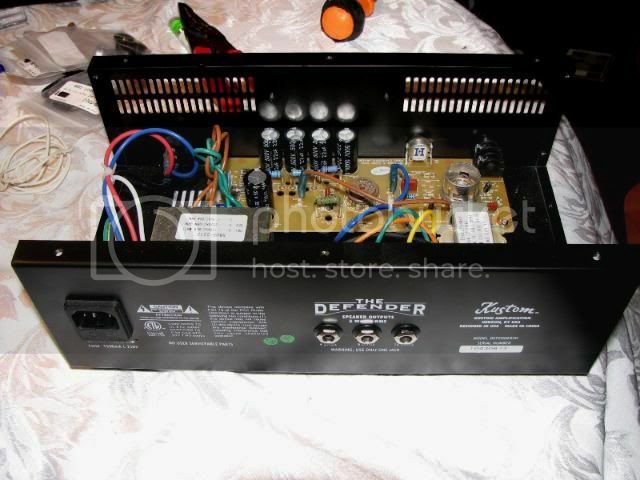 Now the tube amps, which are all small. 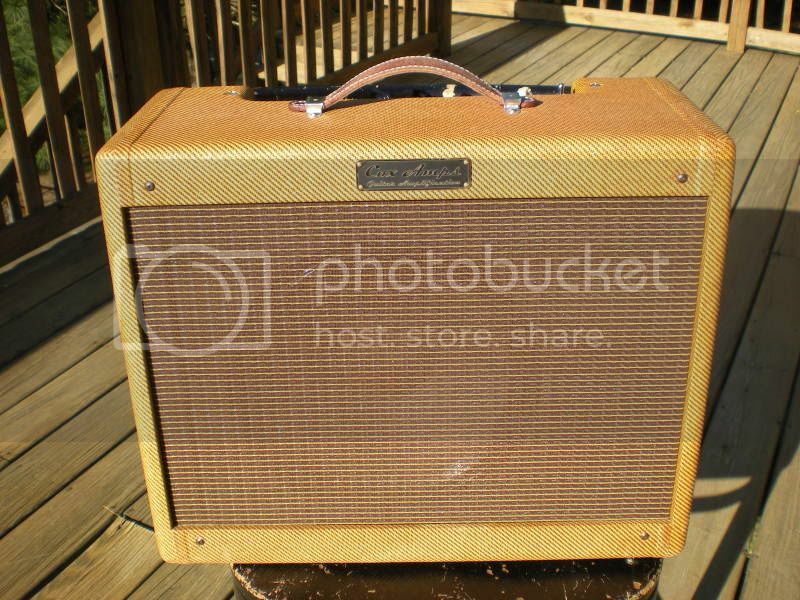 The Fender Super Champ XD with a mid 70's JBL 10 is the main amp, a 6L6 power amp with a 12 AX7/DSP hybrid pre-amp; the early 90's Crate Vintage Club 20 is the EL84 alternate, and is one of those cheaper USA made Crate all-tube amps that sound great I don't use it as much as the Fender, but when I want it it roars. The Champion 600, well, is OK as is, moded with with a better speaker, but it really sounds better with a bigger speaker extension cabinet. Oh man, I really want to post some pics in this thread! I've just been crazy busy lately, hopefully I'll get a chance soon. Nice amps so far, fellas!!!! Oh man..This pictures makes me crazy. I like to have such wonderful guitars. all I can say is WOW! 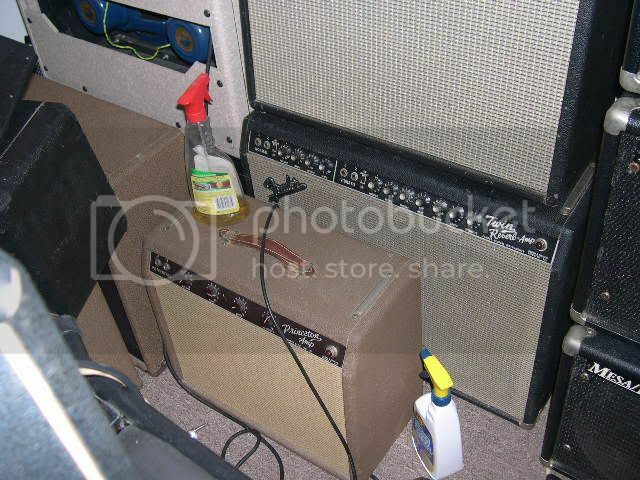 Those are some amazing small amp collections guys! Love them all and just seeing all those cool little tube amps gives me the urge to run out and get another one. 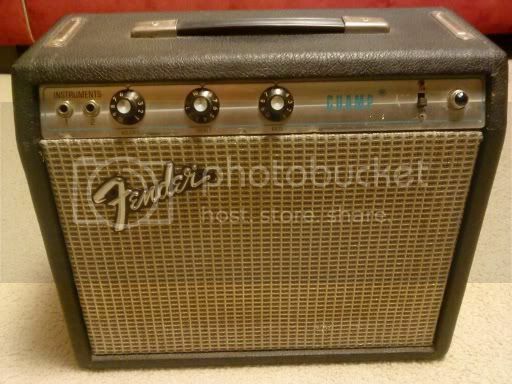 I don't have pics of them all but I'd say I have probably owned about 20 small tube amps in the past 10 years. Mainly just for the fun of trying new gear and alot of them were bought and then sold a few months later to rotate to something else. 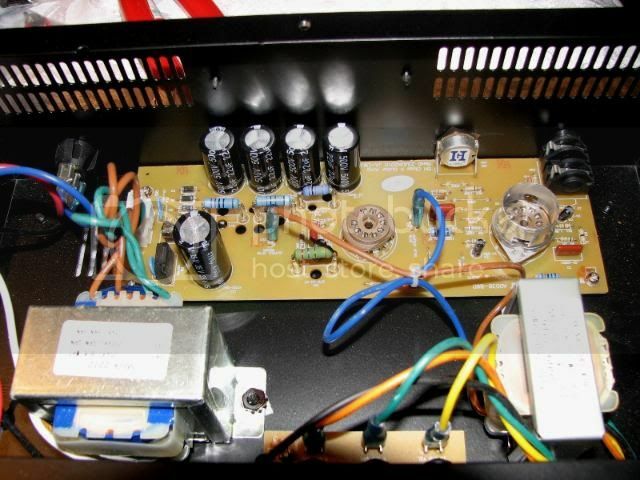 One of the cool things about small tube amps is they usually aren't terribly expensive so even on our current tight budget, I can save up for a while and afford a little tube amp where it might take me a year or more to save up enough for a bigger more expensive amp. 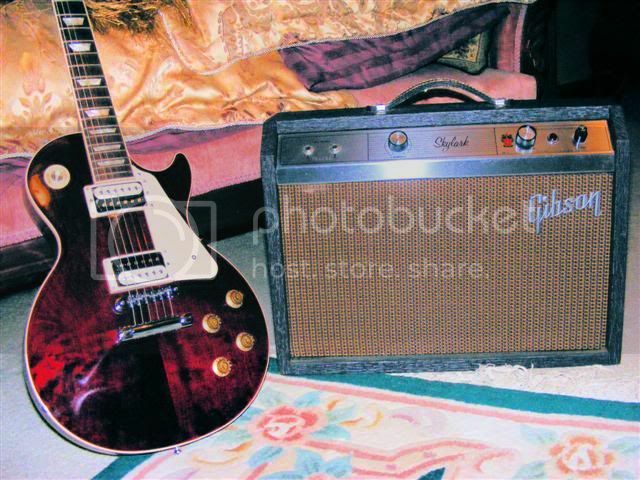 My small tube amp, a 1964 10 watt Gibson Skylark, on off and volume, the amp I learned on. All original and still works great after 47 years, though I should put a 3 prong grounded power cord on it before it decides to bite me. Dave Johnson, sg jones, Alex_SG and 2 others like this. 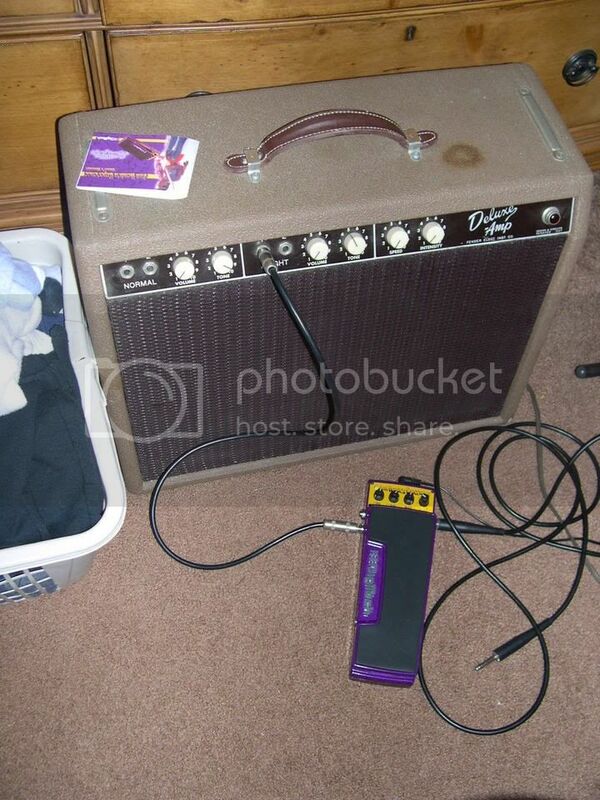 My first amplifier ever was a Gibson Skylark! ever guitar which was a Danelectro convertible. Sadly they are both long gone. 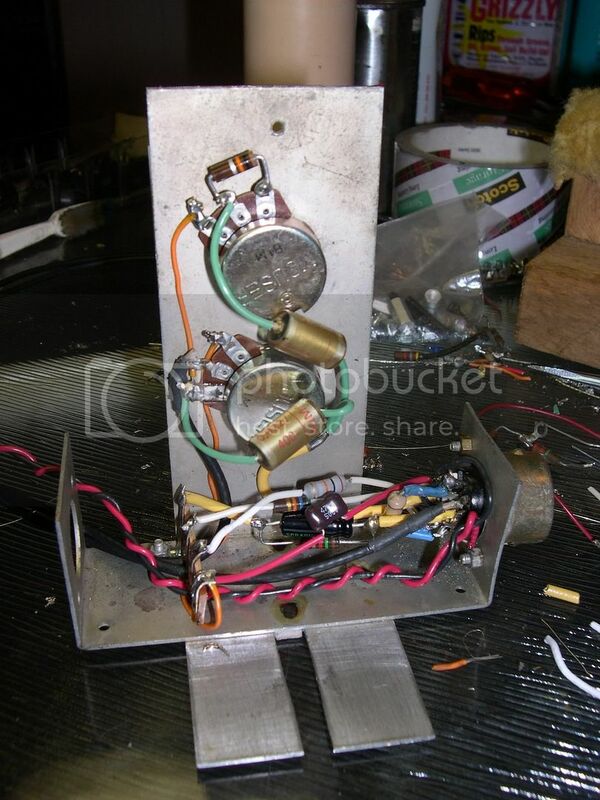 ok, had some time to burn this afternoon so decided to open up a little tube amp I recently got and do some mods. It started out as a cheapie Kustom Defender 5H head. 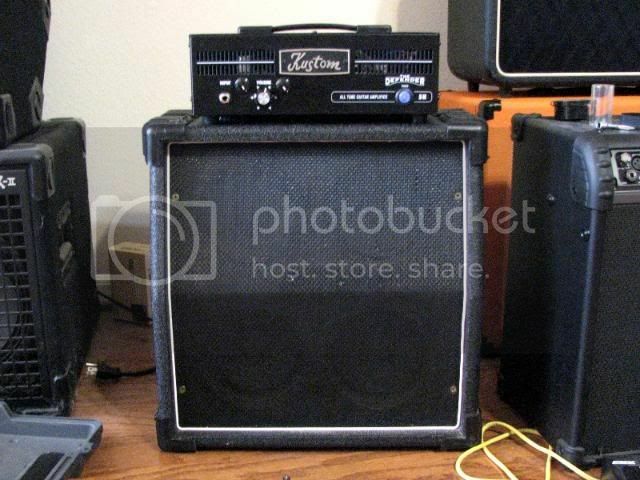 I think new they are about a hundred bucks and I traded an amp that was not being used for it and a cab. 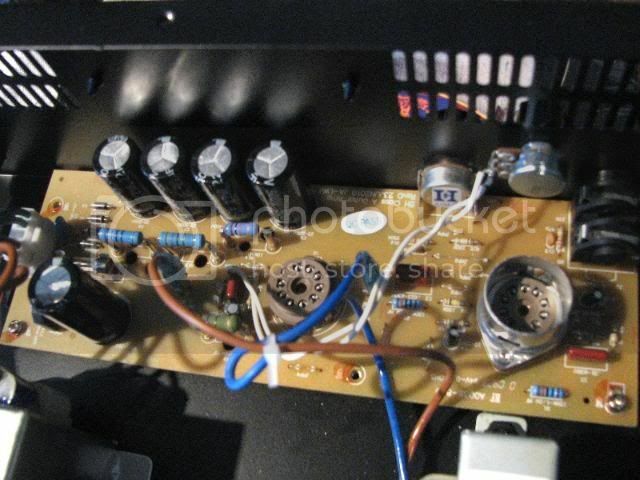 The amp is very simple, just a volume control and a single pre-amp and power tube. first step was to pull the case off, very basic setup inside and tiny! Dave Johnson, Bettyboo, shaq and 2 others like this. 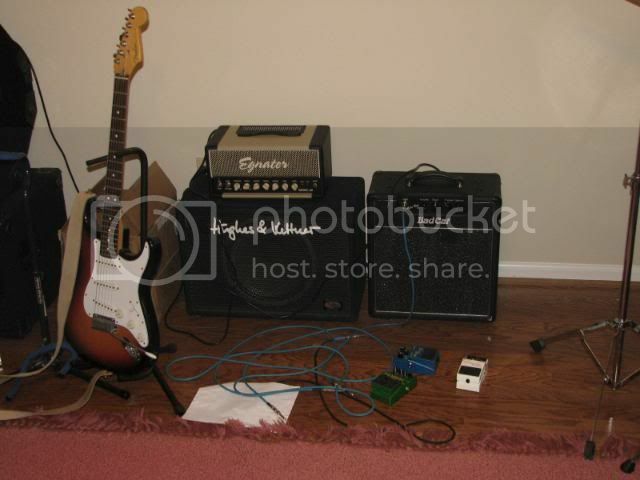 Cool, ORF, and I need to add a tone control to that Fender Champion 600. You sure made it look easy. 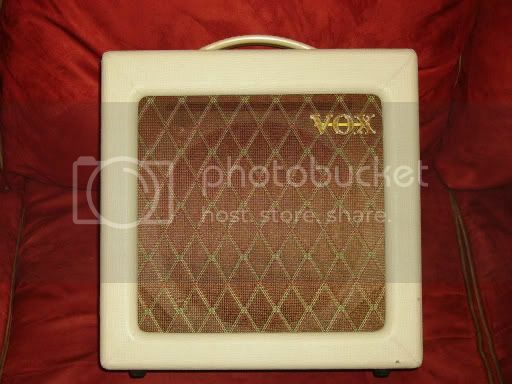 Vox, that little tweed guy wth the back removed looks amazing! hand wired goodness right there! dbb, it is a piece of cake. Believe me if I can do it... anyone can just got to take your time and of course always disconect the power and drain the caps as the first step! HAHA! The trick is just knowing which resister to desolder and I just went online to find out what to do. THe tone mod I did was not a huge difference in perceived tone. Like being able to adjust from about 6 to 10 on a guitar but it does come in handy. There is a better tone mod but it requires more effort so I went with the simple one today. 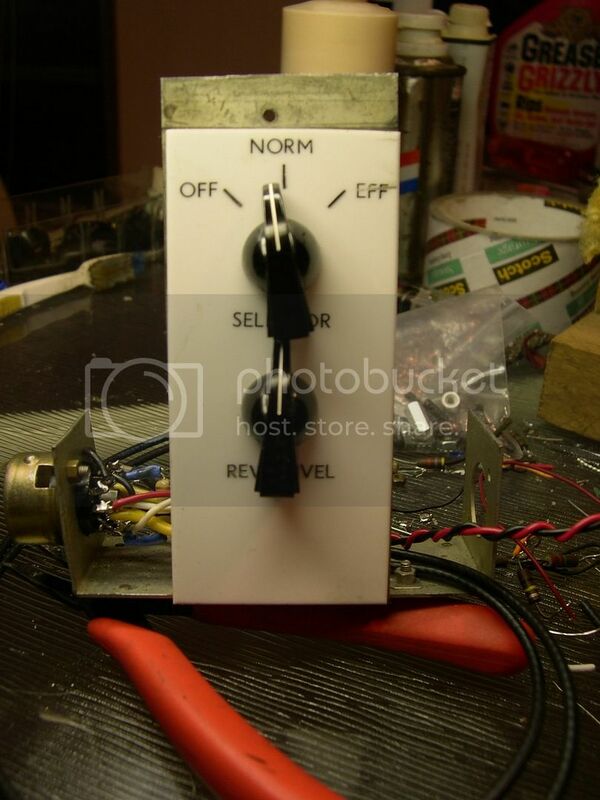 I may go back and convert the tone mod to a better one down the road. You should also consider adding a master volume. It is actually a master volume mod and allows you to really dial in the amount of gain you want at lower volumes. 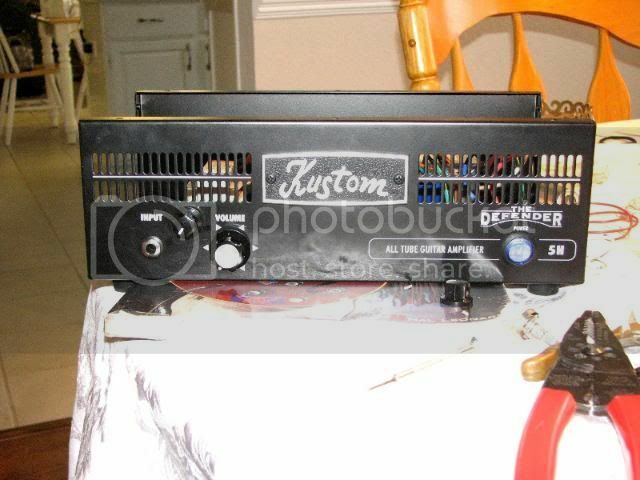 Not a big deal for some but even at 5 watts, these little tube amps can get pretty loud when full on cranked. Aww, drain the power caps...naw, I'd rather shock the sh*t out of myself...not! 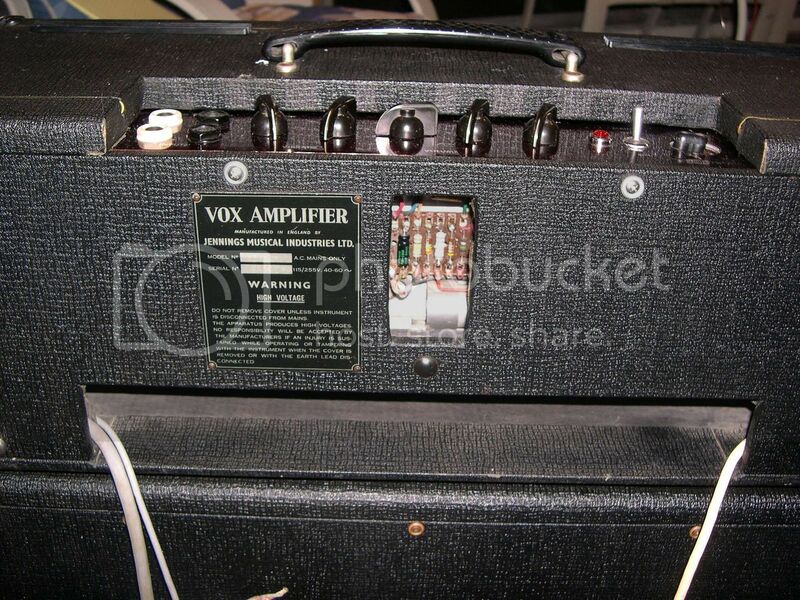 Thanks...for that amp, I don't need a master volume, just need to tame the highs a bit. I'm still not sure what to do after reading pages of mods for the 600. 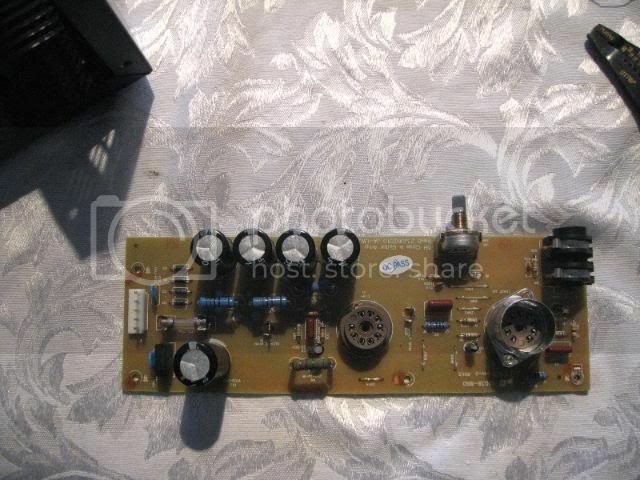 Either a tone control or even just a switch with a resistor in the right place. If you are just looking to tame the highs a bit, might be able to just swap out a bigger resistor if you have the schematic to tell you which one it is. I'd probably go for the tone pot though since it gives you more control over it. 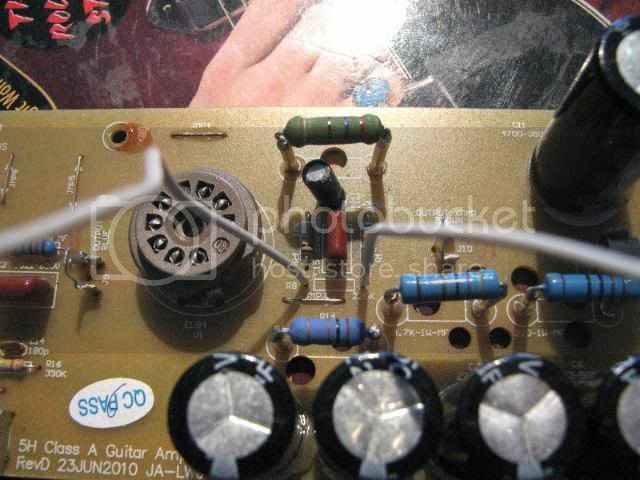 Even a simple tone mod like I did where it just takes the place of a resistor would be an improvement for you and would be an easy mod. The little 600 amps are popular so I am sure there are some detailed pics online to walk you thru it. 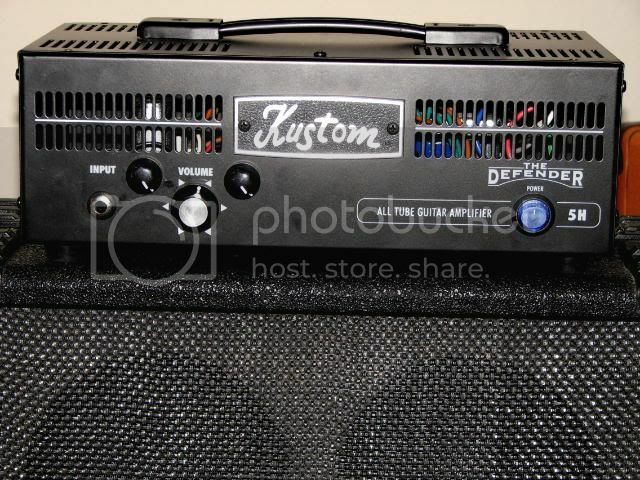 I was amazed when I researched my little kustom amp that they even had the detailed pics for it. You should see how many mods there are for the little epiphone valve junior! 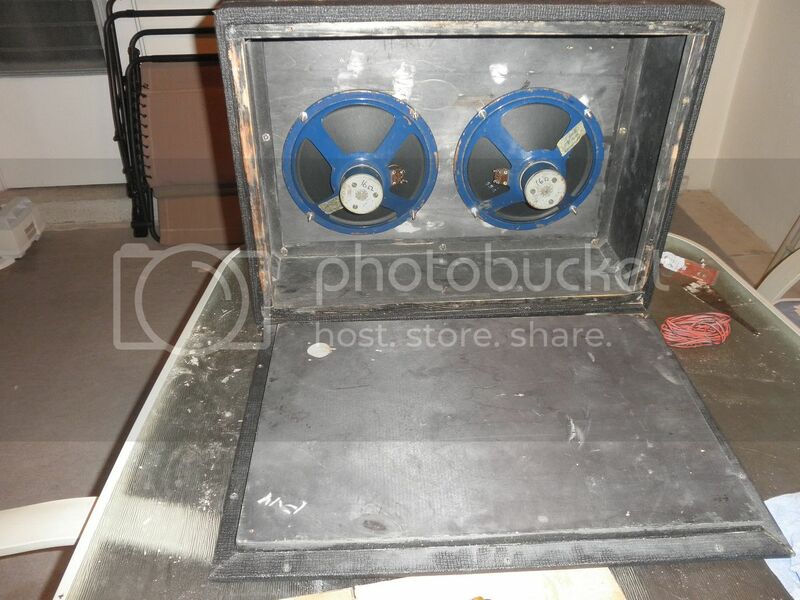 Speaking of which, I am suprised more forum members don't have the little epi valve juniors. I was figuring they would be one of the most popular small amps. I've heard good things about the Epi amp too. Dave Johnson and 58pit like this.